We can state this as a fact - No other manufacturer we carry offers a wider variety of equipment choices. That's saying a lot. We carry many different manufacturers, including most of the biggest names in the industry. Choose from floor jacks, jack stands, engine hoists and stands, presses, brake lathes, oil filter crushers, spray wash cabinets, wheel service equipment and so many of the little things that a typical auto service and repair shop should have. Their quality is solid, and while it is suitible for the professional, they are still affordable enough for the home hobby user or car buff. The Ranger RP-6KC Can Crusher quickly and easily flattens paint cans down to 20% of their original size in mere seconds. Ranger products, (a division of BendPak) has been manufacturing garage equipment for over 45 years. They fabricate serious auto shop repair equipment for the serious professional.  They supply a wide range of equipment to cover almost any auto shop's needs. Products include wheel service equipment such as Ranger alignment equipment, tire changers, wheel balancers, brake lathes, and other automotive tools. They also supply hydraulic equipment, including floor jacks, and air jacks, along with presses and engine cranes. Add to that their oil filter crusher, work benches, tool boxes, and you begin to see a full line of equipment that few other offer. They even produce an innovative wheel alignment machine. One of the things that sets Ranger aprt from the competition is their engineering. These guys aren't just slapping their decals on some mass produced automotive equipment. They engineer most of their equipment from the ground up. Which is why you'll find that their quality doesn't suffer. Just like with their BendPak car lifts, they don't cut corners just to meet a certain pricing level. We've been selling Ranger shop equipment for almost 20 years now, and we can vouch for their high standards. So take a look at what they have to offer, and then get back to us with any questions. We'll set you up with the best Ranger tire alignment equipment and other supplies for your application.